ROYAL Bafokeng Platinum (RBPlat) is to restructure an unprofitable shaft at its Bafokeng Rasimone Platinum Mine (BRPM) which it shares in joint venture with Anglo American Platinum (Amplats), and will defer capital spend by R900m this year as it seeks to withstand the effects of a decline in the rand-basket price of platinum group metals (PGM). Commenting in its interim report for the six months ended June 30, in which the group posted a headline loss of 5.3 cents per share (2016: 77.8 cents profit), an annual saving of R118m would be realised at BRPM as a result of the shaft closure. The restructuring was “effected” from July 31. Headline earnings were impacted by a 9.8% reduction in the basket price for PGMs, largely influenced by a strengthening of the rand equating to an earnings hit of R225m. Restructuring costs of R57m and a R76m re-evaluation of the pipeline – the company is paid by Amplats for concentrate refined four months after delivery – also bore down. RBPlat alerted the market in its year-end results presentation for the 2016 financial year in February that a restructuring of BRPM was on the cards amid a sluggish market for PGMs. Today’s announcement details a plan in which the South shaft UG2 production sections will be shut and some 60% of its employees redeployed to mine higher grade Merensky sections at the mine’s South and North shafts, and UG2 production at North shaft. There would be a reduction of 636 employees at BRPM as a result of the restructuring of which 116 employees would be relocated to the Styldrift project. The employment of the balance of some 520 employees, including 213 contractors, would be terminated. The restructuring comes at a delicate time for South Africa’s mining sector following similar retrenchment announcements at AngloGold Ashanti and Bokoni Platinum Mines (another of Amplats’ joint ventures) which could account for up to 12,000 job losses. The Chamber of Mines said in a statement yesterday that a combination of higher administered costs, regulatory uncertainty, inappropriate work stoppages and the poor market for certain metals could result in the loss of 100,000 direct jobs in the mining sector and the loss of another 100,000 indirect jobs. It calculated that between 2014 and 2016, the South African mining industry had made an accumulative net loss of about R50bn. Some 70,000 jobs had been lost in the sector between 2012 and 2016. Said RBPlat of the restructuring: “This will enable us to maintain current levels of PGM production but with the enhanced effect of the base metals revenue that accompanies Merensky production and optimized processing arrangements equating to approximately R37m per annum”. Capital expenditure for the second half of the year was guided to R1.5bn with most of the outlay going into the construction of the R11bn Styldrift I project on which R7.23bn had been spent to date. The project was scoped to double RBPlat’s production to about 600,000 ounces of platinum group metals a year. On a full-year basis, a total of R2.3bn will be spent which compares to initial guidance of R3.2bn. The capex guidance is for the entire joint venture which RBPlat foots with Amplats. The capex would be deferred to the 2018 and 2019 financial years, however. 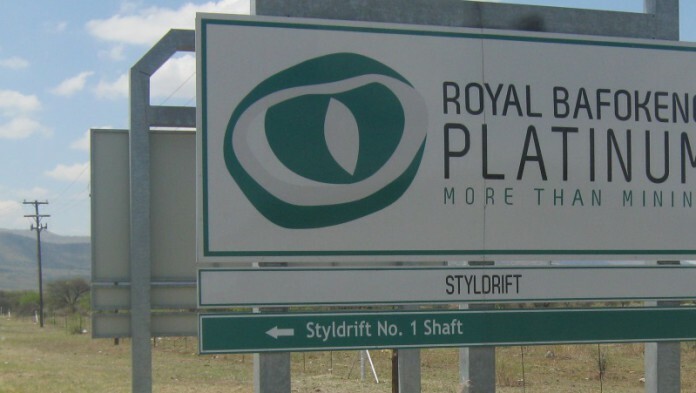 From a cash perspective, RBPlat had R2.9bn to fund its 67% share of Styldrift I following a R1.2bn bond issue in March as well as debt consisting of R750m in term debt, R750m in a revolving credit facility and R508m in general bank debt. Chris Griffith, CEO of Amplats, told Miningmx in a July 24 interview that RBPlat had bid for Maseve’s infrastructure and that the mine’s concentrator was of particular interest. PTM said in an announcement on July 31 that it was in discussions for corporate or asset level deals with several parties.